You want a newer 3 bedroom home on acreage with the dream shop and usable land but everything is priced over $400,000. You want a great producing well. Don't miss amazing home! 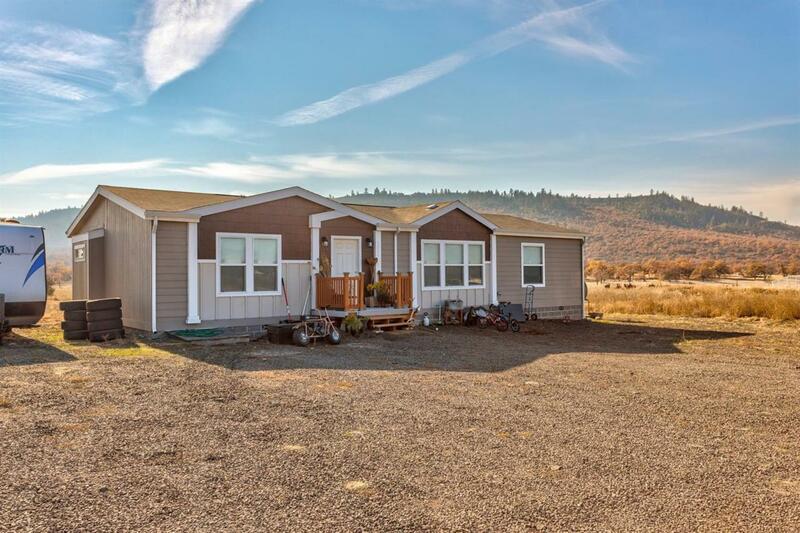 Newer home on almost 4 acres of prime country property. Great location right around the corner from Rainey's Market and less than 15 minutes to the Medford airport and Costco. Home is a spacious 1512 sqft energy efficient home. Features 3 beds 2 baths and very open floor plan. Your new kitchen is spacious with stainless steel appliances. 4000 sqft shop ready for any project, farming or mechanical. Well tested at 100 gpm when drilled just 2 years ago. Come by and check it out before it's gone.